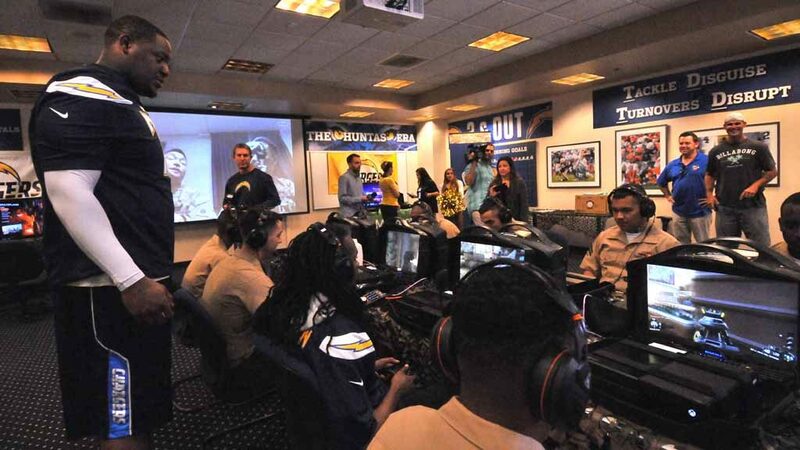 In a pre-Memorial Day gesture, San Diego Chargers kicked back Tuesday with Miramar Marines in a videogame match of muscle men spiced with appreciation. Many of the Marines, facing deployment, were aircraft maintenance and mechanics workers. Amid mutual admiration was a spirit of competition. 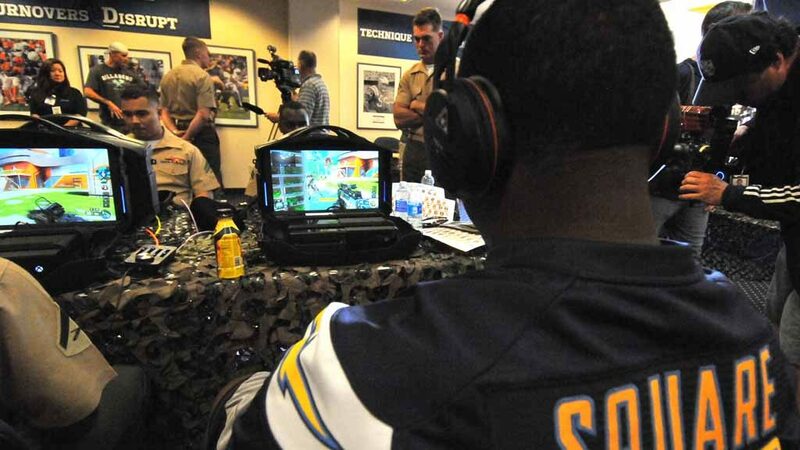 It also prompted Chargers to pause and compare themselves to the servicemen. 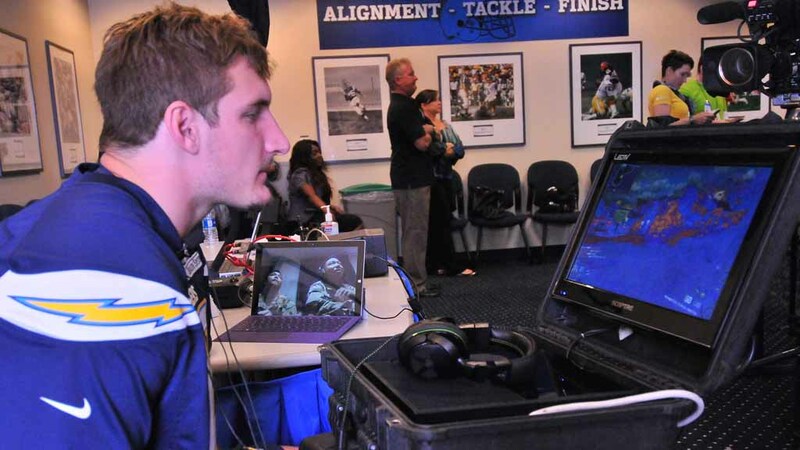 While just playing a game, Bosa said it was Marines’ real life call of duty to protect Americans that he appreciated. “Meeting them face to face makes it real,” he said. Chargers and Miramar-based soldiers teamed against two counterparts on the other side of the world in Kuwait. 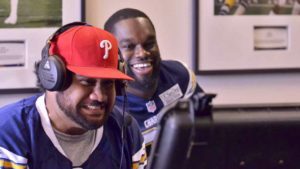 It was 1 p.m. locally but midnight in the Middle East when Maj. Rex Agbuya and another Marine (who is a big Chargers fan) squared off against those at Chargers Park in Murphy Canyon. Who prevailed? The answer changed throughout the play. “They’re winning. We’re winning,” several said. But it wasn’t winning on the battlefield or football field that Greg Zinone, founder of the charity Pro vs. GI Joe, had in mind when he started his effort. Tuesday’s match — which included a visit by several Chargers Girls — was the first this season. 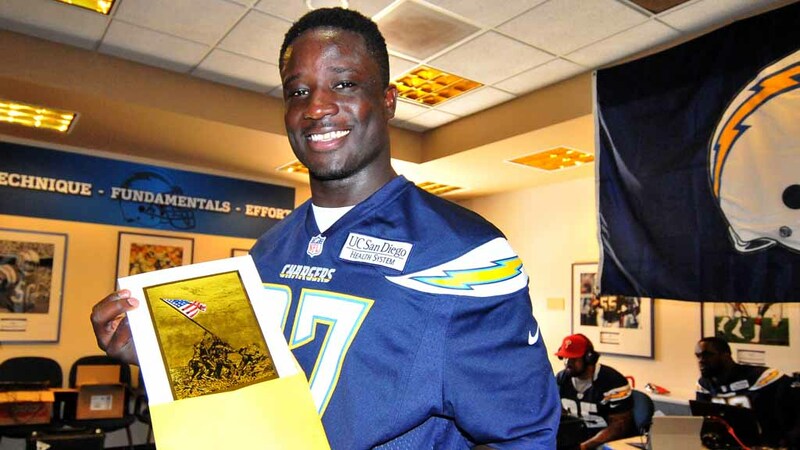 He plans to give NFL players and military personnel this chance throughout the league. 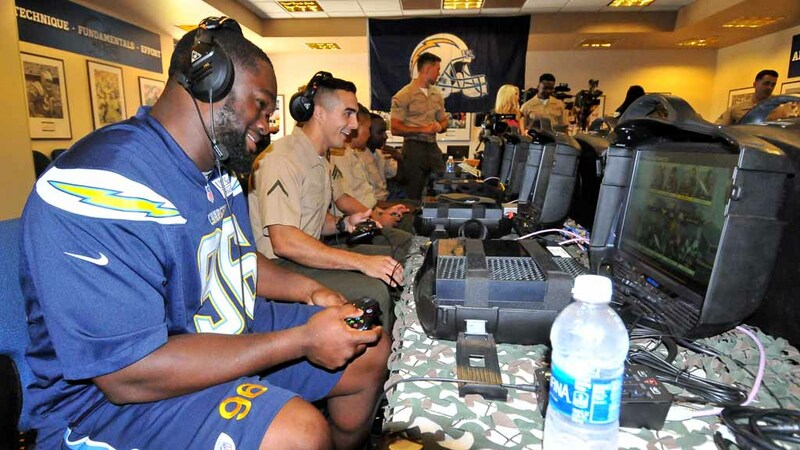 Last year, competition took place via the web, but this was the first time the Marines went to Chargers Park to play. Zinone, who served in Iraq nine years ago, came up with the idea to match athletes with servicemen in a friendly competition. Pratt felt that military training gave him an edge in the game, but he also benefits from playing the game often. He started playing Call of Duty when he joined the Marines and now plays two or three times a week in his free time. 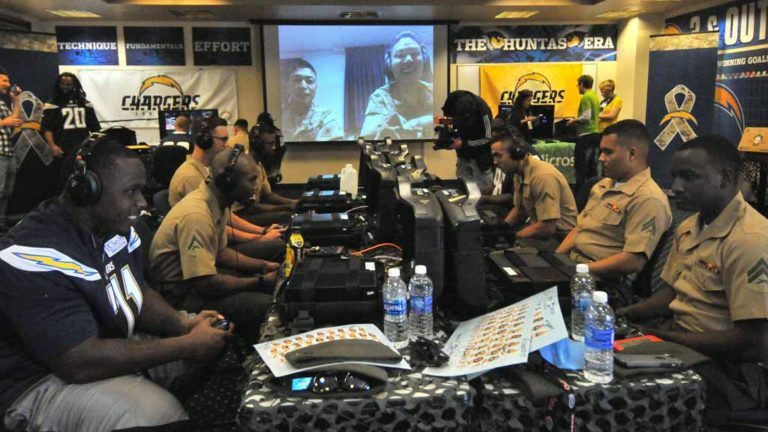 Players contrasted their job to the Marines’. “They call us gladiators,” said defensive tackle Tenny Palepoi. “They are the real gladiators, the ones who protect the country.